A revolution in healthcare is brewing in the upstate! The number of biomedical and heathcare technology startups, collaborations, and innovations is accelerating at a rapid pace in the upstate. The brewmaster at the epicenter of this technological shift is Sam Konduros. Sam is the Executive Director of the Research Development Corporation (RDC), supporting organization of GHS dedicated to improving the health of upstate South Carolina and beyond by being the engine of growth for medical and healthcare delivery advancements. Sam will share his entrepreneurial story in economic development and the exciting developments in biomedical and healthcare technology. He may even throw in a few of his motorcycle adventure stories. The agenda will close with a question and answer session and participants will have the opportunity to engage in an ideation session focusing on key challenges in the healthcare and biomedical technology area. Tickets include choice of craft beer (over 21 only) and pizza will be served. Sam Konduros serves as Executive Director for Greenville Health System’s Research Development Corporation, focusing on industry collaborations and partnerships, development of intellectual property, and mission-supporting economic development strategies. Konduros also served as President of Greenville, South Carolina-based SK Strategies, LLC, from 2004-2014, which specialized in innovation strategies, integrated marketing, economic development, public/private partnerships and strategic planning – including the creation of visions & brands, “strategic roadmaps” and market penetration strategies – for numerous corporate, governmental and university entities which have included Greenville Health System, Clemson University, CU-ICAR, and Kent Worldwide among others. Konduros has been actively engaged in state, regional, and local economic development initiatives since 1989. This entry was posted in Community, Entrepreneurship, Events, Health, Ideas, innovation, Learning and Development, Startups, Storytelling and tagged #SCBIOS, #startups #entrepreneurship, #yeahThatGreenville, community, healthcare, ideas, Presentation, Storytelling on September 8, 2015 by admin. Strong and determined women have inspired me since childhood. From my wife, mom, and my grandmother (see 7 Things I learned from my Grandmother) to two of the most impactful bosses of my career, I’ve personally learned and grown through the mentorship and guidance of women. Regrettably, until lately I have not given much back. My company Beer and Napkins started with the philosophy of diverse ideas, diverse environment, and diverse people. 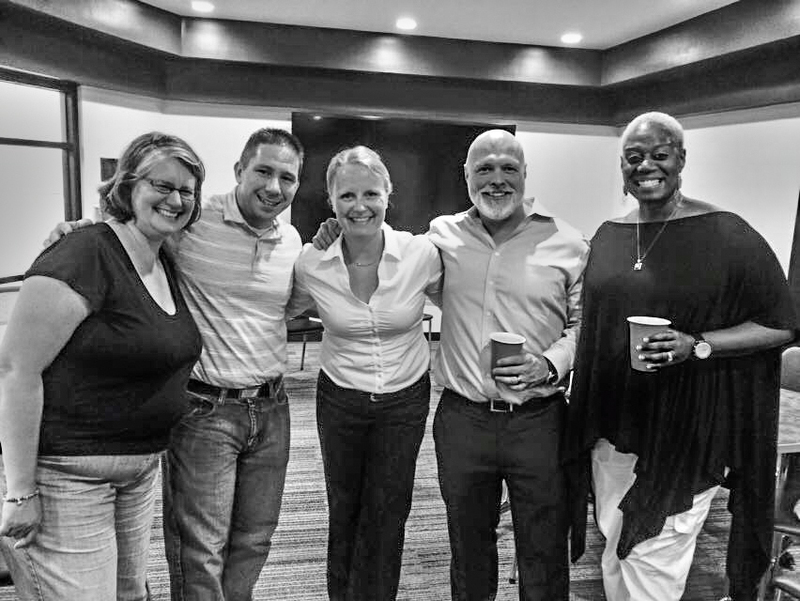 Yet our board of advisors was made up of close friends and colleagues… and they were all men. This imbalance was painfully apparent after I shared our company with a colleague and she pointed out the lack of a diversity on our board. Furthermore, after coming across a New York Times article by Sheryl Sandberg and her call to action for men “It’s time for men and women alike to join forces in championing gender parity”, my genuineness was challenged. Did I really believe in a diverse group? Though we touted diversity I was not living it! The profound awareness of my inattentiveness to inequities prompted a drive to lead by example. After deep reflection, my business partner Tony Miller and I assessed our current situation and realized we needed to take action. Sheryl’s #leanintogether inspired me to use our resources, talents, and Beer and Napkins platform to support women in leadership and entrepreneurship. #WomenLeadGVL was born. It was a way of locally honoring women who have contributed to our growth. We took few key actions to set in motion our vison. Our #WomenLeadGVL initiative was started to support and encourage women in leadership and entrepreneurship through meetups, events, and other projects. We diversified our board adding two talented women agreed to become part of our organization. Both Pamela Wood Browne and Veronica Schoell have enriched our organization with ideas and support as we grew. They have embraced our #WomenLeadGVL initiative and progressively moving our organization forward. This is just a start and we have much more to do! Women have worked hard for their current place in leadership positions, equal pay, and entrepreneurship. On this Labor Day and the future, I ask you to reflect on all the women who have contributed to your growth in your career and life and I challenge all men and women to use their resources, talents, and skills to support women’s personal growth, leadership, and entrepreneurship. We encourage you to use our #WomenLead__ and replace the last three letters with your community and spread the encouragement. This entry was posted in #yeahthatgreenville, Community, Entrepreneurship, Ideas, Learning and Development, Makers, Startups, Storytelling, Women and Leadership and tagged #leanin, #leanintogether, #startups #entrepreneurship, #WomenLeadGVL, #yeahThatGreenville, creativity, ideas, Leadership, makers, Social Entrepreneurship, Storytelling, Women's Issues on September 7, 2015 by admin. For the past year it has been a pleasure for us to learn more about the city of Mauldin. Given that Mauldin has never had an actual main street or “downtown” area, it has an extraordinary 61% population growth since 2000! One of the challenges is how can Mauldin provide the growing residents and visitors a thriving environment of culture, business, and activities. One of the things we’ve learned is George Patrick, Administrator, Office of Cultural Affairs has been diligently working to promote provide artistic and cultural activities to continually develop a more energetic community. As we spoke with George, it was evident that all the avenues were explored including bench-marking other municipalities and their growth plans. 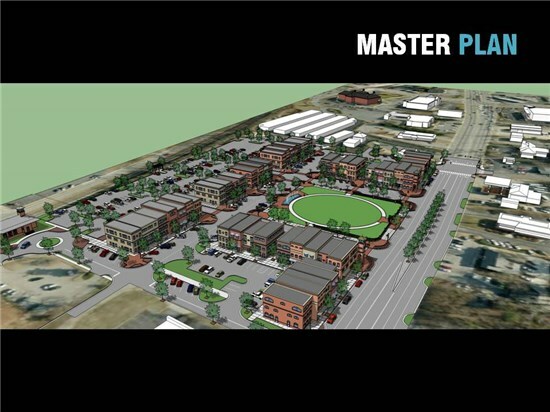 You can read more about Mauldin’s Downtown Master Plan here: Master Plan. However, he wanted an additional component, a grassroots community driven ideas for input into their strategic plans. Beer and Napkins provided the platform where both residents and visitors delivered their input at the July 21st and August 5th idea events. George shared with the group about the underdeveloped spaces behind Chicora Alley and the Cultural Center ripe for ideas. He also shared with the group about plans for connecting with the Swamp Rabbit. Many ideas ranging from open air cafes, interactive art displays, to pubs, breweries, and high end shopping were mentioned. Additionally, the #MauldinEdge was born representing both the spirit of progress of Mauldin and where the hub sits on the edge of the crossroads formed by 107 [East Butler Road] intersecting with 276 & the railroad. Through these community idea generation events two key themes emerged: a center hub where guests can interact with each other and art and a walkable, connected city. George, Tony, and I look forward to seeing you Tuesday! This entry was posted in Branding, Community, creativity, Entrepreneurship, Environment, Events, Ideas, innovation, Startups, Swamp Rabbit Trail and tagged #mauldinedge, #startups #entrepreneurship, #yeahThatGreenville, Art, Branding, community, creativity, ideas, Innovation, International Community, mauldin, Presentation, urban development on August 30, 2015 by admin. We have explored a number of ideas in our last few sessions and we are on our way to establishing a number of vitalizing game plans! At our last event at the Turtle Shell, we will be narrowing down the collective input into from our last session into 2-3 “Themes / Goals” for the community (e.g. “walkability”, “local flavor”, etc) and establish 1-3 short term and long term recommendations for each of them. Even though you may have not attended the earlier sessions your input is still desired! We are continuing to collect ideas so please vote, add to our#MauldinEdge idea stream! Appetizers will be served. Food and drinks available for purchase. This entry was posted in Branding, Community, creativity, Cycling, DesignThinking, Entrepreneurship, Events, Ideas, innovation, Startups, Swamp Rabbit Trail, Uncategorized and tagged #mauldinedge, #startups #entrepreneurship, Art, arts, Branding, community, creativity, designthinking, Events, mauldin, meetup, Presentation, urban development on August 23, 2015 by admin. Cheers! Beer and Napkins has started a Podcast!